Last month my SO and I enjoyed a two week trip to Italy & the Mediterranean. We had a wonderful time cruising to Croatia, Montenegro, and Greece for a week, and then exploring Italy for another week. In Italy we attempted the whirlwind tour – we saw a number of cities and visited many of the highlights of Venice, Milan, and Florence. We didn’t spend enough time in any of the cities we visited to really get comfortable, and we’d love to return to a number of places we visited to explore further (especially Rome!). 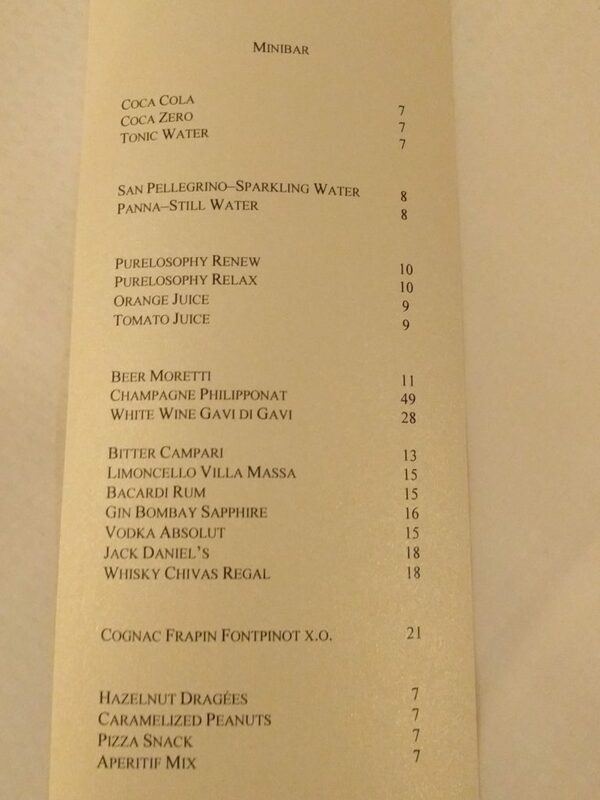 Most of the expenses above were expected, but I did not expect to pay city tax at each hotel we booked with reward points, and overall we took a few more taxis than I thought we might. Also, we splurged on booking a few fancy tours through the Chase UR portal (and paid for one in cash), and we tipped all of the tour guides in cash. We spent quite a bit of money on food and drink, considering that most of our food for the first week was included in the cruise. 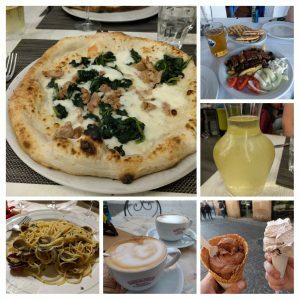 We really enjoyed the food in Italy, and we let ourselves splurge rather than pinch pennies – we had many cappuccinos, ate great pasta, pizza, wine, and sandwiches, and enjoyed gelato in nearly every city we visited. Overall, we had a great trip, and I am very happy with the low total out-of-pocket cost we achieved – I love the power of reward points! Booking flights, hotels, and the majority of a cruise for nearly free enabled us to take a trip we would otherwise never consider. We are already scheming for and saving points toward more trips to Europe in the future. What’s your next travel hacking destination?